As 2018 reached its end and 2019 began, at a personal level, we all made meaningful New Year’s Resolutions. The business world is no different. It is the time of the year when businesses look back and analyze how well they did, and what to expect from the upcoming year. Strategically planning your commercial goals, business needs, possibilities, and complications, can provide leverage to face the new year. Nonetheless, we all need support and motivation, and when it comes to boosting your staff emotions, nothing works better than wrapping your vehicle fleet with a cool, striking commercial graphic. Vehicle graphics or commercial vehicle wraps are a unique and affordable way to display an original, creative, and eye-catching brand, services, and products. Starting 2019 with a striking branded vehicle fleet, will not only influence your potential customers’ buying decision 24/7, but it will also inject a nice dose of motivation to your staff and partners while driving to success. Business vehicle fleet graphics provide amazing branding and awareness benefits. Commercial car wraps provide a wide range of benefits to your business, from an affordable and efficient, mobile, outdoor advertising mean to an extra layer of protection for your business fleet’s original paint and metal components. This feature, in particular, is especially useful in Colorado’s weather, where the harsh winters, hot summers, and unpredictable weather changes can boost any car deterioration. At Summit Customs, our creative professional team can design cool, unique, and effective custom commercial car graphics that will display your business message in a creative and original way. The possibility of catching potential customers attention everywhere you go, no matter the day or hour, makes it an incomparable method to create awareness and place your brand. In addition, commercial vehicle fleet wraps are easy to remove by professionals, without putting at risk your cars’ original paint or components. This makes them perfect to try different wraps through the year, displaying different marketing campaigns, products or services, tailored to the season or specific commercial moment. 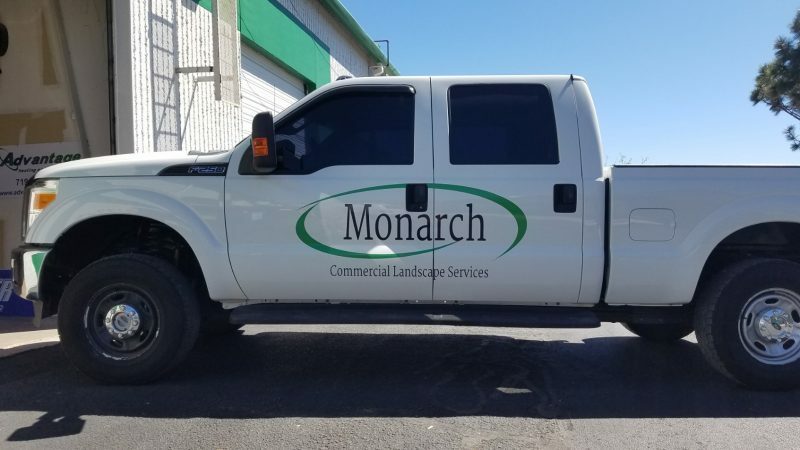 In order to be able to design the best commercial graphic for your business vehicle fleet, it is important to keep in mind several elements like your business goals, service, product or message desired to convey. This could help you determine the colors and designs on your wrap. Remember to consider the vehicle’s original paint job. This way it will match or contrast it in the right way. It is also essential to come up with the proper measurements. Consider the car’s dimensions, model, and style. Some cars have particular shapes, textures, and irregularities. Therefore, it is important always to look for professional help. A professional sign or car wrap graphic designer can help you in determining the best colors, dimensions and visual elements your commercial vehicle fleet wrap design should have. So, the message is clear, striking, and compelling. Contact Summit Customs today and learn everything you need to start 2019 with a fresh, eye-catching, brand new commercial vehicle fleet.